Below is an appeal sent to the Freedom of Information Commissioner . It is the third step in a laborious process of trying to find out what took place in over thirty secret sessions of the Oireachtas Joint Committee on the Future Funding of Domestic Water in Ireland. The committee's business ended in April 2017 in acrimonious and dubious circumstances. Buncrana Together has written extensively on the subject and to date we have not received a satisfactory explanation from any member involved in the Committee. "The content of the Report, which is mainly comprised of the Joint Committee’s recommendations, was agreed in detail by the Members over a number of meetings and approved by them in the normal manner." Apparently the Oireachtas Committee business does not come under the FOI Act and according to the FOI Coordinator the department doesn’t give out information relating to Oireachtas Committees. Details of our FOI request and initial appeal can be read here and here. Below is the appeal sent to the Office of the Information Commissioner by James Quigley on behalf of Communities for Ireland's 9.4. "My FOI request concerned the Joint Oireachtas Committee on Future Funding of Domestic Water sent on Sept 8th 2017. The request was dealt with and completely refused by the committee secretary Thomas Sheridan. I appealed his decision and my appeal was also refused by Vivian Uibh Eachach, Oct 13 2017, on the same grounds. As far as I am concerned my request dealt with the administration of this committee, it's day to day procedures and in particular what each committee member voted and pushed for. In the first place I find it difficult to accept that the person(s) dealing with my FOI request were directly involved with the issue. The question of impartiality arises here. Secondly I find it difficult to accept that there is a carte blanche and total refusal of all information concerning such a public body, dealing with a public issue and in the interest of the public. Surely there must be some information that is not totally restricted by the Houses of the Oireachtas Act 2013. I contend that that Act was dealing with sensitive issues and that is understandable. However, it is not acceptable in this case where the issue was a public one, involving public representatives and witnesses. In fact all witnesses' submissions are accessible to the public one way or another. As far as I can see there is nothing in that committee's proceedings that is remotely sensitive. The committee was initially introduced by Mr Coveney as a open and transparent process based on the recommendations of the Expert Commission. One of this body's recommendations was that the public should have access and direct involvement in the water infrastructure affairs. Surely a total refusal, hiding behind a bureaucratic 2013 act is contrary to this sentiment. As part of my request I pointed out problems with the management of this Committee especially around the 30 odd secret meetings where, as far as I am led to believe, voting took place concerning what would go into a final report. In particular I mentioned the session of February 15th and it's total omission from any report including the Confidential Draft Report sent to the committee members by Alan Byrne on April 5th. I can send you his email which included the Draft Report. I have read in the Oireachtas web site that it is a duty of the chairman to include all sessions in reports for members to accept or not for a final report. That's as it should be and I contend that the Chairman and secretariat failed in this administration duty. It is significant that there was no mention of the February 15th session in the Draft Report especially as the Chairman himself commented on the day that this was a "very important discussion". In my opinion this session was at the core of the argument, yet omitted entirely. Again I would contend that the administration failed the public due to the controversial ending to committee's proceedings where the public was subjected to claims and counter claims by the members themselves who were openly at odds in the media. The administration did not protect the public by not making things clear especially as to what members voted for or agreed to. No one was reprimanded and official records and the truth has been withheld from public scrutiny. To conclude I would suggest the reason given by both officials does not uphold nor protect citizens rights and as such goes against the very reason why we have Oireachtas committees in the first place." 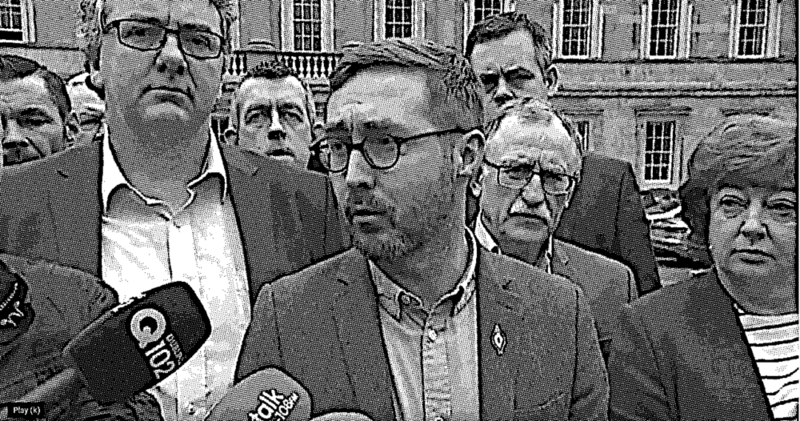 In this article Enda Craig reponds to Deputy Paul Murphy’s , short but altogether, unsatisfactory explanation on facebook yesterday that Solidarity did not support the removal of the 9.4 Exemption from the Oireachtas Water Committee’s report. 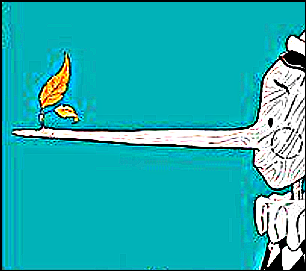 Deputy Murphy’s response together with the lack of a credible explanation from those who we were led to believe were the ‘good guys’ like Solidarity, People Before Profit, Sinn Féin and Independents, to my serious accusations in Buncrana Together, When the Dust Settles where I accused representatives of doing deals in the Oireachtas Water Committee and selling out the anti water charges movement, brings up thoughts of just what these Irish politicians mean when they talk about ‘Peoples’ Power’, ‘Mass Movement’ or ‘Grass Roots’. When it comes to platitudes from the left in Ireland be it Solidarity, PBP or those in the somewhat more hazy left or right category, Sinn Féin, it baffles me what they mean. Especially when I believe that the ‘grass roots’ are looking for some honest answers. After all when it comes to people's power, honesty and information is the key. You know, to my mind, this is not far away from the bromide one hears, all too often, from the mainstream parties such as Fine Gael and Fianna Fáil when they say they are working hard on behalf of the nation, or constituents or to quote an often Sinn Féin cliché, ‘we have a mandate’. Euphemisms like these are really for keeping the masses in the dark, clichés to give people the impressing that their opinions count and platitudes to hide what they really want or are doing, like the opposite, acting in their own self interest. But the masses, so long as they are controlled, are needed every so often to march up and down O’Connell Street or every four years at election time. It is condescending. This is an answer Sinn Féin could just as easily come up with. Even Fianna Fáil on the face of it were against Irish Water and Water Charges but behind the scenes both conjured up ‘excessive charges’, metering and the establishment of Irish Water. What Mr Murphy or indeed any of the Right2Water TDs did not answer was to explain in detail why subsequent to the Oireachtas Committee debate on January 15th, 2017, in which two Senior Councils advocated the retention of the 9.4 Irish Domestic Water Exemption, that no mention of this can be found in any report, especially the ‘Confidential Draft Final Report’. This is the report Solidary and R2W TDs fully accepted and supported when Deputies Paul Murphy, Richard Boyd-Barrett, Brid Smith and Mich Barry spoke on video on the night of April 5th 2017 when they rushed to be the first to announce to the world a ‘victory’ for the Anti-Water Charges campaign. Mr Murphy might care to explain his enthusiastic comments on the video that ‘there will be no excessive usage charge’. I would think we deserve an answer to that especially in light of their failure to explain Sinn Féin’s behind the scenes deals with regard to ‘Excessive Charges’’ or indeed Right2Water Unions agreeing with them in the Oireachtas Committee. In relation to his comment that″Solidarity did not support the removal of the reference to the 9.4 Exemption in the committee’s report″, I am not aware of anyone making that specific accusation. My contention was that the 9.4 was never included in the report in the first place and no one complained about it. An altogether serious reality. I would like Mr Murphy to show me detailed evidence that he fought tooth and nail, subsequent to the legal debate on January 15th , to have the 9.4 Exemption included in any Committee report. A bland statement like ″our position was well explained on the Committee and in the ongoing Dáil debate on the legislation″ does nothing to clarify his actions in relation to accepting a report with proposed progressive charges in the place of the 9.4 Exemption. The details of his attempts to retain the 9.4 and to have it included in the committee’s report are now required to justify his so far unsubstantiated claims that he did fight for them. Murphy’s claim regarding his position to the 9.4 is not documented anywhere, as far as I am aware. I would like to be proved wrong. Just to be precise the time-frame I am referring to is subsequent to the January15th session and up to when the Committee’s Confidential Final Report was published on the 5th of April. I spoke to the Oireachtas Committee secretary, Mr Thomas Sheridan, on the phone and his reply was confirmed in writing to Michael Mooney that after each session the Committee members would meet in private session and decide and agree which parts of that session would be included in the Oireachtas Committee report. The most critical of all decision to drop the 9.4 Exemption and any mention of the January 15 debate and replace it with 'progressive charges' was made at that point. It is not unreasonable to think that if there was a deal done behind their backs, Mr Murphy or any of the R2W TDs should have raised hell at that point. They should have explained to the anti water movement what was happening during all those private sessions. And they should now explain why the 9.4 Exemption to water charges was left out of any report. After all how can you have an 'Exemption to Water Charges' and all that it entails and what we now have 'progressive water charges' at the same time. That is a contradiction.